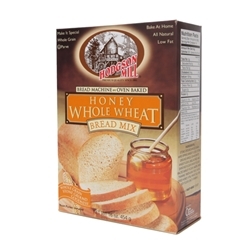 Hodgson Mills's Honey Whole Wheat Bread Mix is specially formulated to bake in a bread machine or oven. 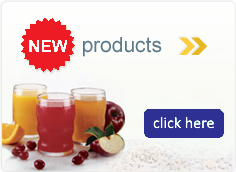 This delicious high protein whole wheat bread mix is naturally sweetened with pure honey. Add water, butter and yeast to the bread mix to create great tasting old-fashioned homemade bread. Ingredients: Stone ground, whole grain, hard spring wheat flour; stone ground, whole grain, white wheat flour; unbleached, enriched flour (wheat flour, malted barley flour, niacin, iron, thiamine, riboflavin, folic acid); dried honey; vital wheat gluten; soy flour; salt; vitamin C. Packet of Fast-Rise yeast included.